Attention PSU DJs: Submit an application to compete in Red Bull Thre3Style! 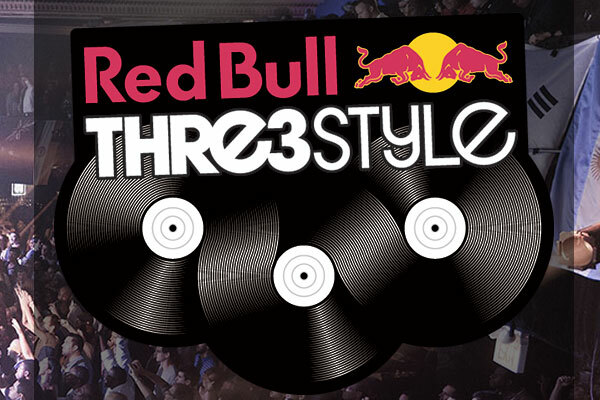 Comments Off on Attention PSU DJs: Submit an application to compete in Red Bull Thre3Style! Calling all DJ’s: Red Bull is currently accepting applicants to compete in Red Bull Thre3Style, a nationally recognized DJ competition! Hopefully you were in attendance last semester when State In The Real and Antak Entertainment collaborated with Red Bull for DJ Master. If you were, you know that this is NOT an event that you want to miss out on. The event will be held at Indigo around mid-March, so you’d best start mentally preparing for the awesomeness. “Here’s the deal: The event is called Red Bull Thre3Style. Every DJ chosen to spin will be given a 15 minute set, in which they will have to spin music from 3 DISTINCTLY separate genres. The winner will be decided by a panel of 3 judges (who will soon be announced). Every DJ who is chosen will walk away from the contest with a prize, but the top DJ of the night will walk away with $1000. And there you have it. Submit your awesome demo, play an awesome set, and win an awesome prize. Simplicity is a beautiful thing.